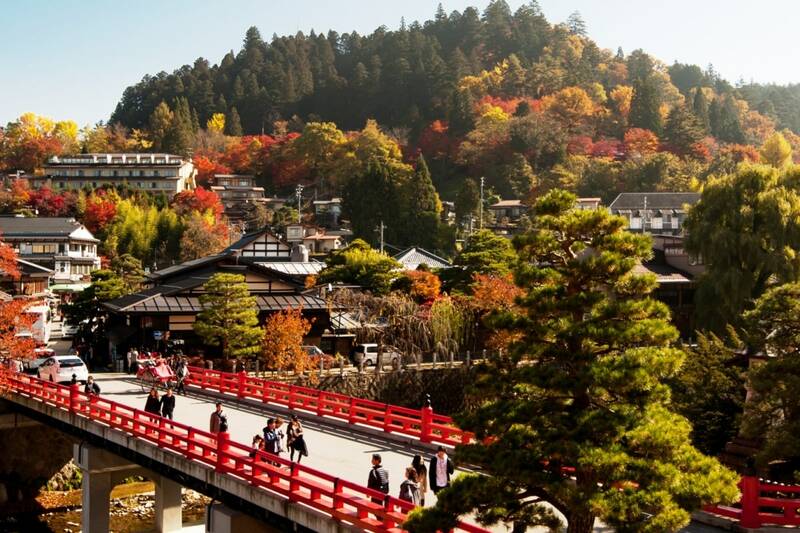 Nestled in the mountains of Gifu Prefecture, both Hida Takayama and Hida Furukawa have plenty to offer travelers. We've put together this side-by-side comparison of the two gorgeous towns so you can choose which destination you'd prefer when planning your next excursion. Hida Takayama is practically bursting with tourist attractions. There are old, well-preserved private residences and buildings such as Takayama Jinya, a government building utilized by the Tokugawa shogunate. There's the Miyagawa Morning Market, which sells local, seasonal goods, and the Nakabashi Bridge that spans the Miyagawa River. There's both Shiroyama Park and Kitayama Park, which offer visitors a chance to enjoy nature. Plus there's Teramachi, a district of beautiful, historic temples. These tourist spots attract more than 400,000 international guests every year. On the other hand, Hida Furukawa draws less than 7,000. While Hida Furakawa seems to lose out to Hida Takayama based on numbers, it's worth noting that a small town like Hida Furakawa might not be able to handle such a large amount of tourists. For those looking to avoid the crowds that Hida Takayama draws, Hida Furukawa is perfect to enjoy at a more leisurely pace. It has similarly-maintained private residences, as well as white-walled storehouses used by Japanese sake breweries. There's also the Setogawa River, in which over 1,000 carps dwell. 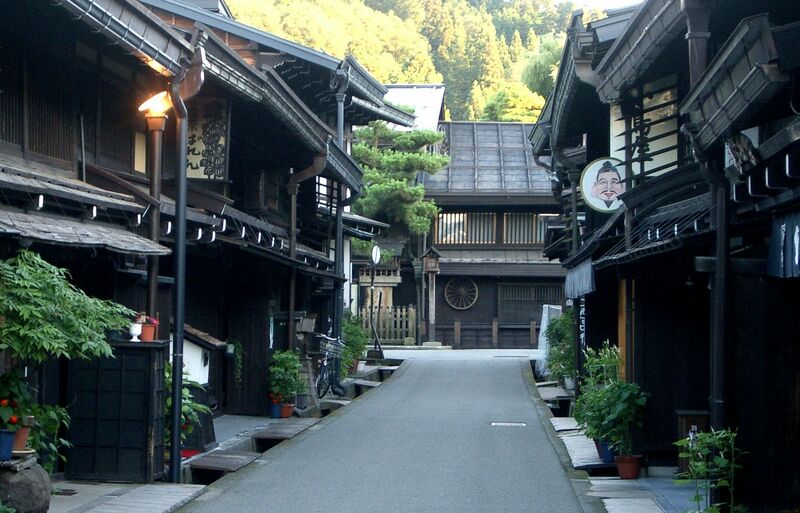 If you prefer more restful travel, Hida Furukawa is a more suitable choice. When it comes to food, there's no wrong choice! No matter which town you visit, you'll find plenty of delicious dining options. Hida Takayama has well-recognized restaurants including Heianraku, the top-ranked restaurant in Takayama according to Trip Advisor. As the home of Hida beef, a lot of popular restaurants peddle this renowned, homegrown wagyu and compete with each other to see who can make it best. Hida Furukawa also has a number of prestigious restaurants such as Yamakoshi-ro, Busui-tei and Yatsusan-kan. You can also try out delicious street food like croquettes, skewered dumplings and skewered beef while rambling through the historic townscape. As mentioned above the number of guests to both towns is quite different. So the number of hotels, inns and guest houses in Hida Takayama completely surpasses Furukawa, as one might expect. Even with such a large quantity of accommodations available, it can still be difficult to book during peak travel times. If that's the case, Hida Furukawa can be a ready alternative. There are also luxury accommodations such as Iori Stay that provide an incredibly authentic lodging experience for individual guests or small groups. Accessibility to both towns is pretty similar. The limited express Wide View Hida from Osaka, Gifu, Nagoya and Toyama stops at JR Takayama Station and JR Hida Furukawa Station. Although the terminal station of expressway buses from major cities such as Tokyo and Kanazawa is in front of the Takayama Station, you can easily transfer to Furukawa by local train if you want. And unlike Takayama, most major tourist spots of Hida Furukawa are very close to the station. In this case, it's a draw! These are just a few of the factors to consider when planning your visit. Visit AAJ's hub for more information about the incredible things just waiting to be discovered in both Hida Takayama and Hida Furukawa.